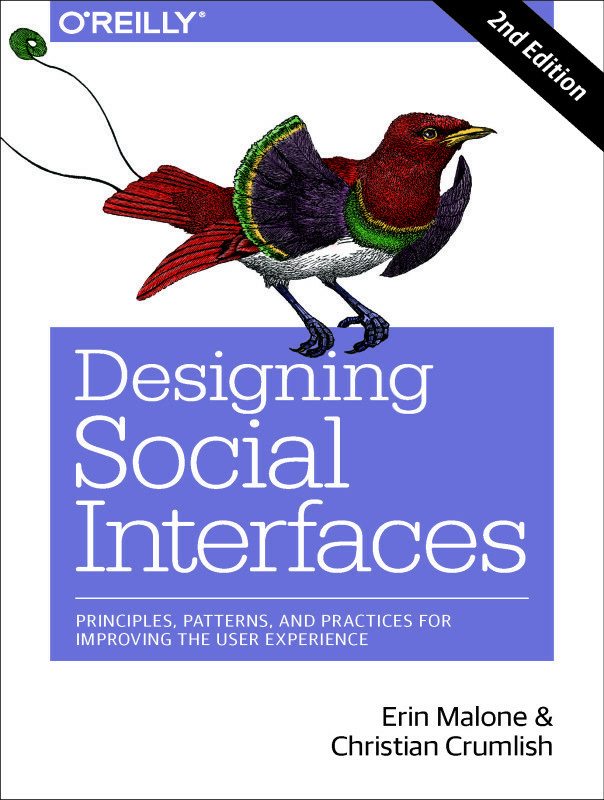 In writing our book, Designing Social Interfaces, we challenged ourselves to creating a social pattern language, much like Christopher Alexander created a pattern language for building and architecture. We have followed the evolution of design patterns but looking back into A Pattern Language, there are some concepts that Alexander talks about that are directly applicable for consideration when designing social spaces. Architecture is about creating spaces for people. The type of space and how it is created, placed and modeled can directly affect the kind of behavior that might take place in that space. In other words, the space can modify behavior or encourage and support behaviors. Online social spaces should work the same way. In that light, there are a few of Alexander’s patterns that are worth exploring in relation to online social design. Early on in A Pattern Language, there are a few patterns that talk about the city, neighborhoods and the cultures that exist and overlap in a city or town. Alexander talks about the division and subdivision of spaces to support and provide havens for these different subcultures. The pattern talks about the division of space to make distinctive areas for these subcultures. The web is a good example of this mosaic. Each site in “cyberspace” is a spatial territory with a unique perspective, offerings and in the case of social experiences it’s own life style and community. In the creation of a social experience, the builders can take this a step further and provide spaces for each subculture within the context of the parent to create a richer, more varied experience. It’s not much fun if we are all always the same. He cites Athenian democracy, both Jeffersonian’s plans for American democracy and Confucius’s book on government, in support of this. His perspective is based on the size of the community and the individual’s effect on government or lack thereof when a community gets too large. While the focus is on government, I think there are lessons to consider here when thinking about the online social experience. When there are too many people in a community, especially one that is vocal and active, people will get lost. There is too much noise and not enough good content gets to the right people. Once a community crosses over that critical mass sweet spot, you need to either add tools to allow users to help surface the good stuff, find their friends and create their own sub-groups or you need to calve off areas into sub-sections or sub-groups that may be more formal. Giving your users the ability to create their own groups as needed helps keep them engaged and part of the community since they are actively creating their own version within the space you have provided. For example, Flickr allows people to create groups around any topic – location, type of image, type of camera, whatever. As groups get so big that you can’t keep up with the number of images flowing by or conversations being had, the tools allow the group creator to gate the number of images posted or to limit the number of users or to create other rules that filter and help surface the contributions by the community back to the community. Additionally, at any time someone can come along and create a new variation on the group or create a private group which keeps the numbers manageable. In our book, we have a principle that we discuss called Deliberately Leave things Incomplete. This principle reminds site designers that while they can design a framework for interaction, they cannot predict and shouldn’t predict every interaction a social community will have. The designer needs to think at the meta level and allow the participants of the community to define and design their own engagements and interactions. In other words, they create their own lifestyle and execute their affairs that concern them, all we do as designers is give them the space in which to do it. Alternatively, we can consider adding tools to squash the noise, allow the good to rise to the top and still keep the numbers of people involved large. Things like ratings and recommendations will both address this in different ways. Ratings can help push good up and bad down. The downside, though, of ratings is that lots of people always rate everything high or always rate everything low. So consideration of your context will be important before implementing ratings. Inevitably, ratings are much more meaningful when combined with reviews which then give them context. Recommendations based on an algorithm and user or content reputation can help people find the needle in the haystack or discover something new that they weren’t necessarily looking for. This combination of features is much more complex to develop and takes longer to fully realize as there are several types of factors that need to be in play—enough content to mine, enough activity to infer quality content attributed to a specific person, mechanisms to indicate quality, like sharing, ratings among others and secret sauce to accurately predict options. This type of approach can be so hard and complex that sites like Netflix recently held a contest with a million dollar prize to the best and brightest computer scientists to create a better recommendation algorithm. On the other hand, this approach has the potential to provide really meaningful, contextually relevant, information to a person which in turn drives loyalty and activity. Pattern #14 In A Pattern Language calls for there to be an Identifiable Neighborhood in the town or city. If the web is akin to the mosaic of subcultures in a city or town, then your site is a neighborhood and as such should be identifiable in a way that allows people to belong to it. People should be able to have an affinity – through interest, passion, background etc. to the offerings of your social service. The social object – the thing which draws people together and around which they interact, communicate, build relationships etc. – should be clearly articulated. It’s not about building social for social’s sake, but to create a “there” there. Once you have a stake in the ground around your social object, you need to think about the kinds of activities that would revolve around that activity. What are people already doing? What kinds of activities naturally want to happen? Let the answers to these questions help define the features that you implement. Keep in mind too, that the social object and the kinds of activities that you support will help define the subculture that will emerge on your site. Different activities are going to draw different kinds of people depending on the level of participation required to be involved. The decisions around the activities that are most appropriate will also help guide how and when to grow. These are just a handful of the patterns in Alexander’s book that focus on architecture and how buildings come together to form cities and towns and spaces for humans. As we evolve the online experience, we can learn from some of these lessons and apply these same concepts to our social digital spaces keeping in mind that the design of the space can modify behavior. There are several other patterns in Alexander’s work that I believe are directly applicable as well and will dive into those in a future post.